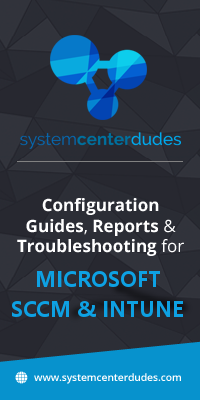 Microsoft has released a new version of SCCM Current Branch. It’s now time to upgrade your environment! 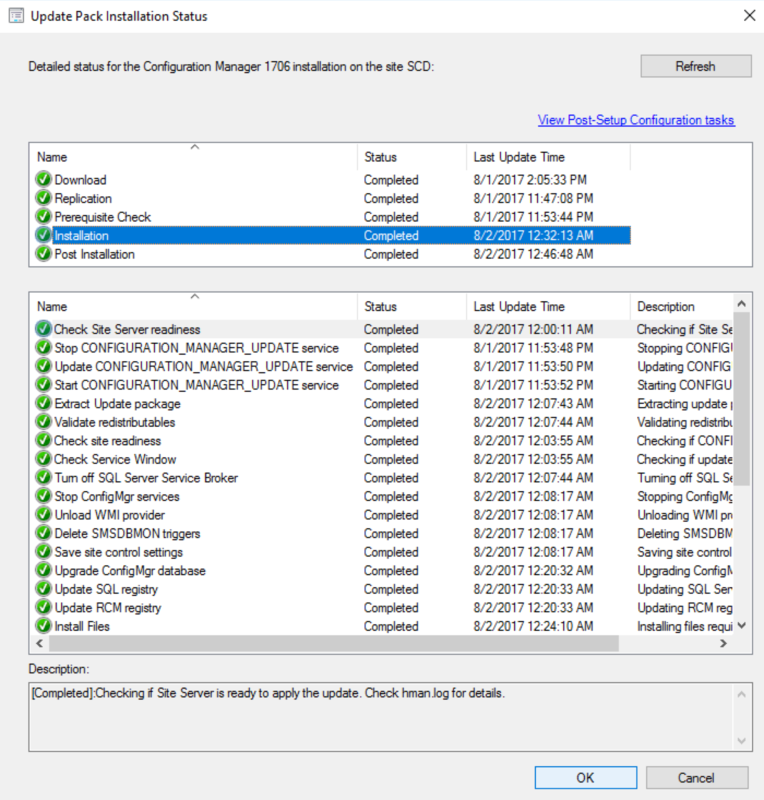 This post is a complete step-by-step SCCM 1706 upgrade guide. If you’re looking for a complete SCCM installation guide, see our blog series which covers it all. 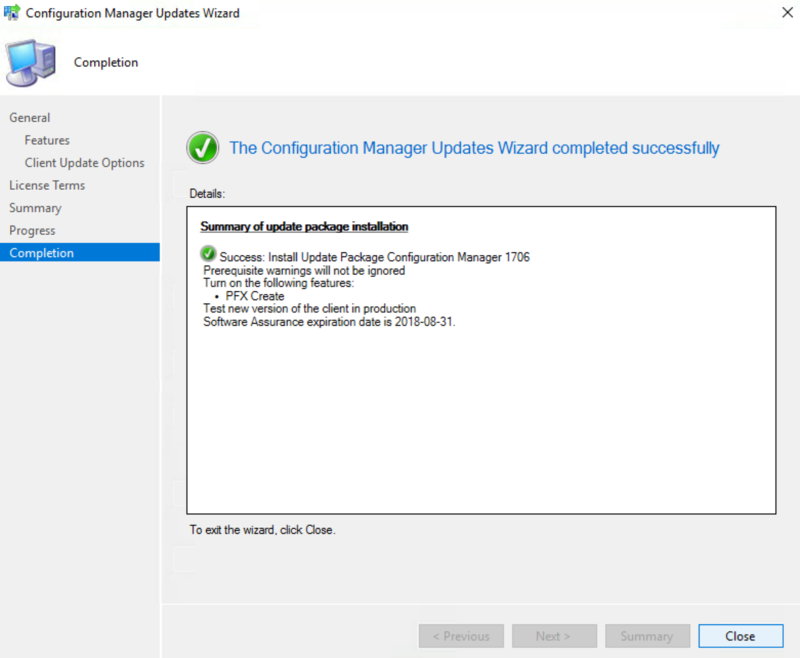 You won’t be able to install this upgrade if you are running SCCM 2012, the minimum required version is at least SCCM 1702. This version is the latest baseline version. 1706 includes lots of new features and enhancements in the adoption of Windows 10 and Office 365 as well in modern management, mobile device management, site infrastructure, compliance settings, application management, software updates, reporting and device protection. 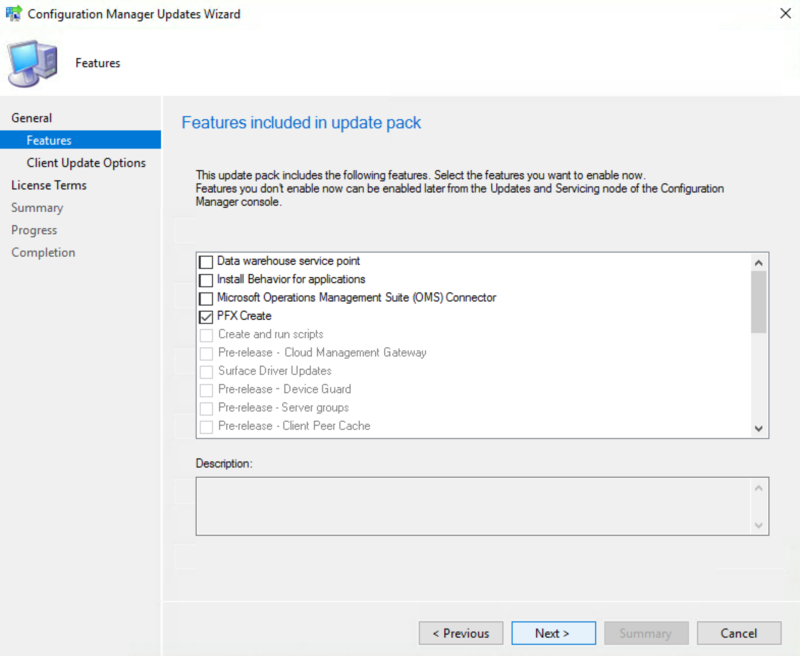 You can consult the What’s new in version 1706 of System Center Configuration Manager Technet article for a full list of changes. 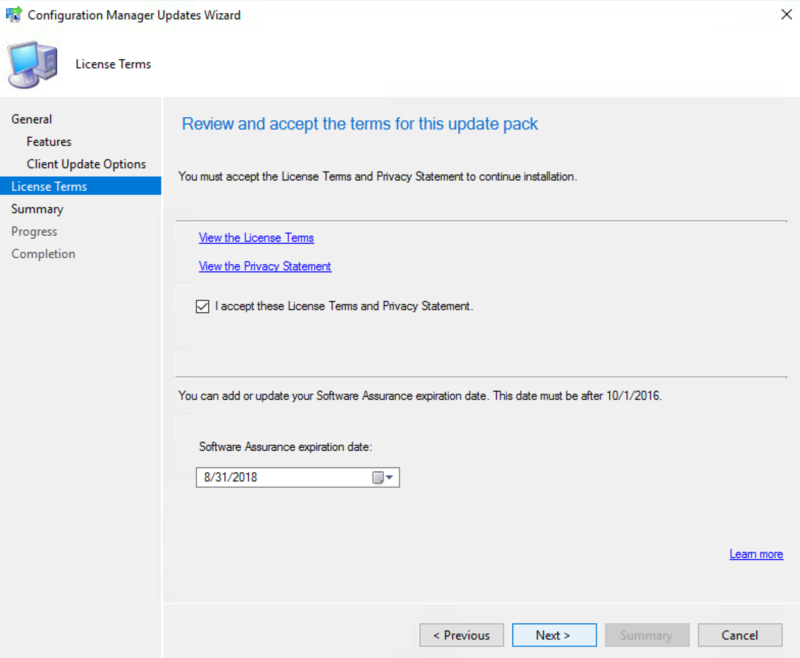 Ensure to apply this update before you fall in an unsupported SCCM version. Read about the support end date of the prior version of the following Technet article. Nothing will happen, the prerequisite check runs in the background and all menu are unavailable during the check. 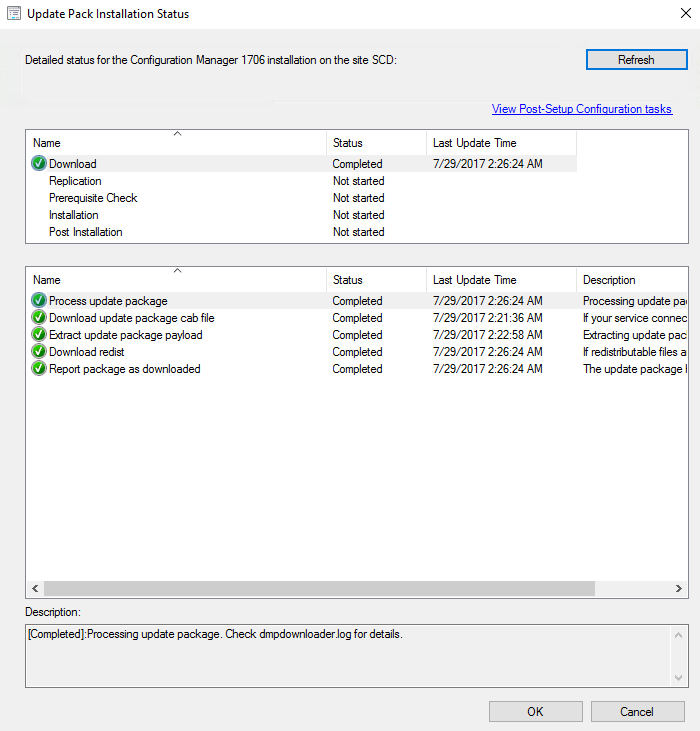 We are now ready to launch the SCCM 1706 update. From this point, plan about 45 minutes to install the update. The whole process took a minute but the installation begins in the back end. After setup is completed, verify the build number of the console. If the console upgrade was successful, the build number will be 5.0.8540.1000 and the version is now Version 1706 . Every upgrade makes us wait for 15 minutes or while while the SMS_REPLICATION_CONFIGURATION_MONITOR tries to update over and over when it doesn’t exist at our site. If the feature isn’t implemented then the update shouldn’t even try that step, no? There are a couple of other steps, too where the update process just sits for 10 minutes here, 10 minutes there. I do appreciate that the coding is pretty darn good and I just need to start the process and let it go, but still room for improvement to shorten it. I’d love some guidance on what cmupdate.log errors I can ignore and which ones maybe I should follow up. All I can do now is “trust the process”, and so far that’s worked out! [Completed with warning]:Starting with version 1702, Configuration Manager does not support Windows Server 2008 R2 operating system. https://go.microsoft.com/fwlink/?linkid=841654. This check verifies that the site system operating system meets the minimum requirement of Windows Server 2012 for site system installation. There are 2 other checks similar to this one that have passed..
My primary server is running server 2016 standard so what’s the issue? I don’t see any warnings in the ConfigPrereq log so I’m confused as to what this warning is all about. 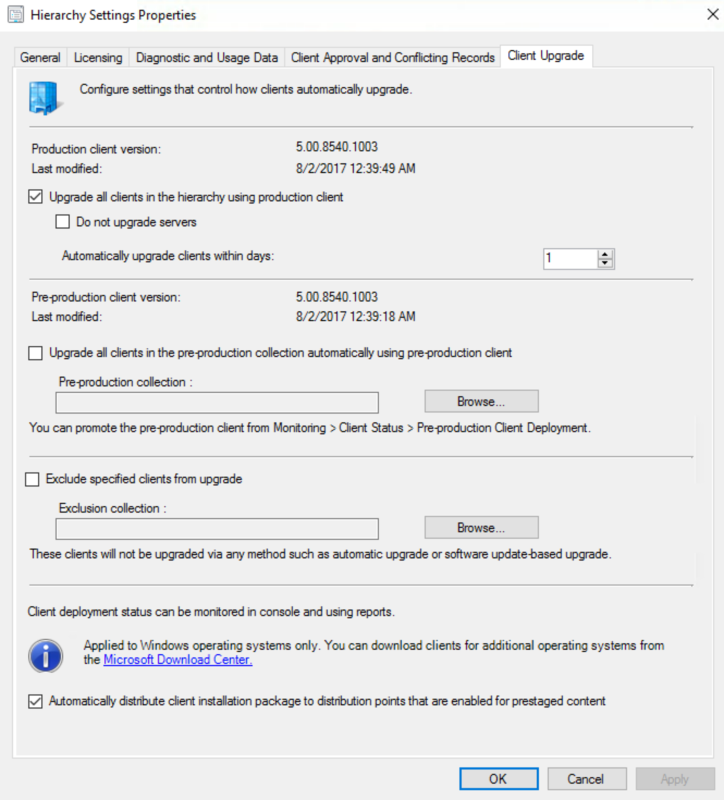 All SCCM servers must be running 2012 and up with the exception of Distribution point. So if you have secondary sites, other management point, etc. they all must run WinServer 2012 and up. Does anyone know where the installation files for the SCCM Console for 1706 are located? We updated from 1610 to 1706 this past weekend. The automatic update when you start the console works fine, but I need to be able to deploy it as an application. I was able to get it out of 1610, but I am unable to locate it in 1706. I found what appeared to be it under \SMSPKGSIG\000004B.6\SMSSETUP\BIN\I386, but when I attempt to run the consolesetup from that folder, it tells me it isn’t compatible with 64-bit versions of Windows. Am I missing something obvious? We just upgraded to 1706 on a newly installed 1702. After upgrade we could not install any clients due to version mismatch. When I check in the console Production Client and Pilot Client version is still ‘5.00.8498.1008’ although the binaries seem to be ‘5.00.8540.1005’. How do I solve this mismatch without reinstalling the site? Anyone else ran into this problem yet? After the upgrade from CM 1702 to 1706, OSD has stopped working. I m trying to deploy Windows 10 _1606 version. Does any one facing problem with SCCM Replication for the global Replication Group CMScripts in Primary Site servers? In our enviornmnet, we have two Primary Sites reporting a CAS. In both Primary sites, replication fails for Global Replication Group CMScripts. any idea to fix this problem will be helpful. 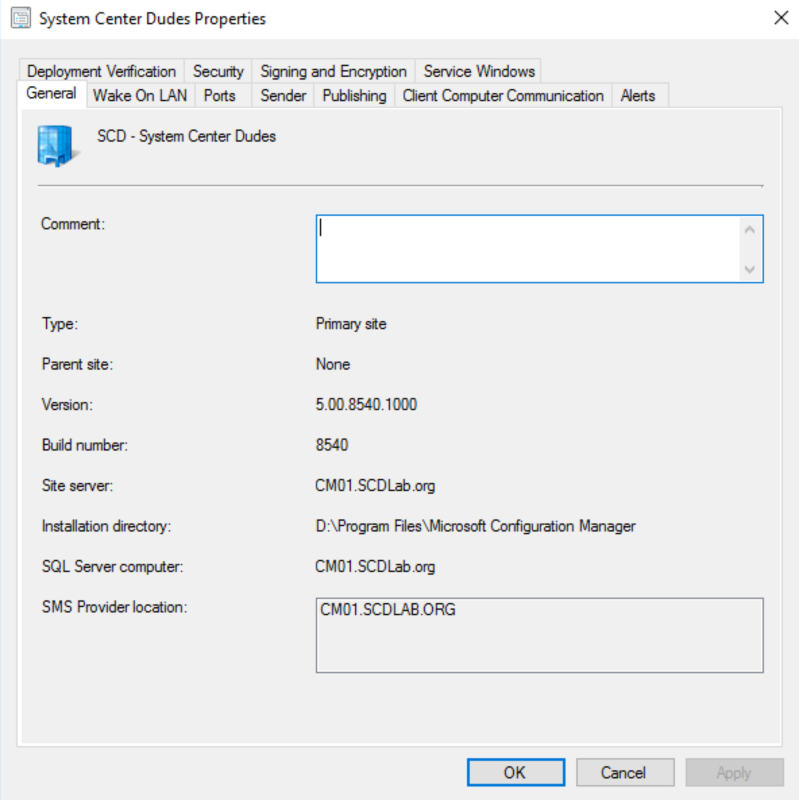 So i just updated to SCCM 1706 on Windows Server 2012R2. When deploying a new machine Windows 10 1607 the task sequence is failing when the SCCM Clients starts installing. 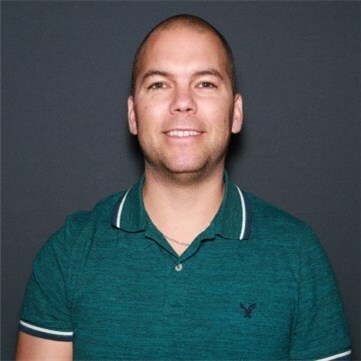 Found online that adding /forcereboot should help. But that didn’t do the trick. “The minimum required version is at least SCCM 1702”. But, according Microsoft Docs, the minimum SCCM version can be 1606. So it’s a little bit confusing for me. you are right, it’s a bit confusing. If you are running SCCM 2012, you can’t go straight to SCCM 1706 as this is not a baseline release. 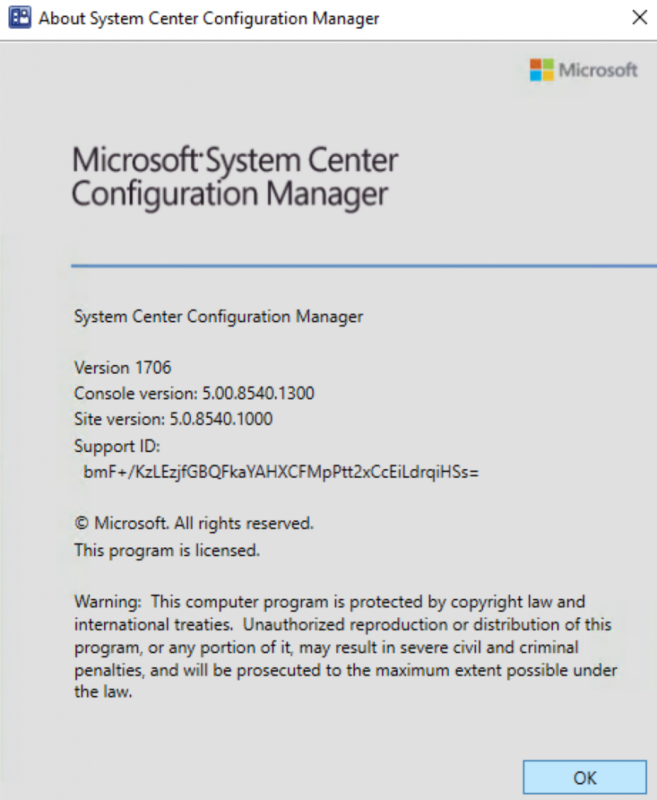 The baseline for an upgrade from SCCM 2012, is 1702. If you are already running a version of current branch, the minimum required is 1606. Hope it’s more clear that way. 1706 update completed successfully for us- status shows everything comPleted. On completion of that, Hotfix KB4042345 showed up. I saw that installations downloaded after 9/13 include this fix. We downloaded on 9/6 so our installation did not include the fix. We ran KB4042345 and the status shows installation completed successfully. Post installation has been “In progress” for 5 hours though. The first 5 entries have a status of “not started”. The last 3 have a status of completed. Any advice? 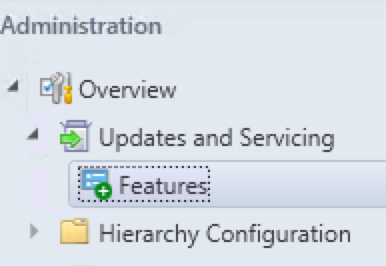 Not started: Installing SMS_EXECUTIVE service, Installing SMS_DATABASE_NOTIFICATION_MONITOR component, Installing SMS_HIERARCHY_MANAGER component, installing SMS_REPLICATION_CONFIGURATION_MONITOR component, Monitoring replication initialization. Everything completed after a restart… I didn’t originally want to restart if it was in the middle of something, but everything did resolve after a restart. Thanks for this article. It’s very helpful. I did my update over the weekend to Production without issue but it looks like the build numbers are different from when you all performed yours for this article. This is due to the early updates being part of the release you installed. Our post was done with the early build. I tried lots of possibilities -but no solution. After hours i gave up. Wait for the 1706 CM iso in VSLC. i am trying to download 1706, but stuck in downloading. I am seeing “Failed to extract the payload cab of package from Easysetuppayload” folder in dmpdownloader.log file. any solutions to fix this problem? Got the same problem as elsewhere – CM 1706 stuck since 6.9. 17 at download. None of the solution in the net gave it push. I downloaded the cmupdatereset tool – neither. What to do with this update now – wait til dawn? Failed installation. My upgrade is failing on a few files in C:\Program Files\Microsoft Configuration Manager\CMUStaging\0F11CAA4-7F7F-454B-96D6-75F427D015CE\SMSSETUP\CLIENT\X64 files with 0kb size. I assume the CAB was corrupt in someway. Is there a way to force a redownload of the CAB file. I have tried deleting the files from CMUStaging and Easy setup payload. No change. CAN get re extracted with the same 0kb files. Just to add that I was able to solve the problem! Our maintenance window was defined to happen on Sundays… therefore the error message “It is not in any service windows defined for the site server. Will check later.”. Once I changed the maintenance window, the process re-started immediately. 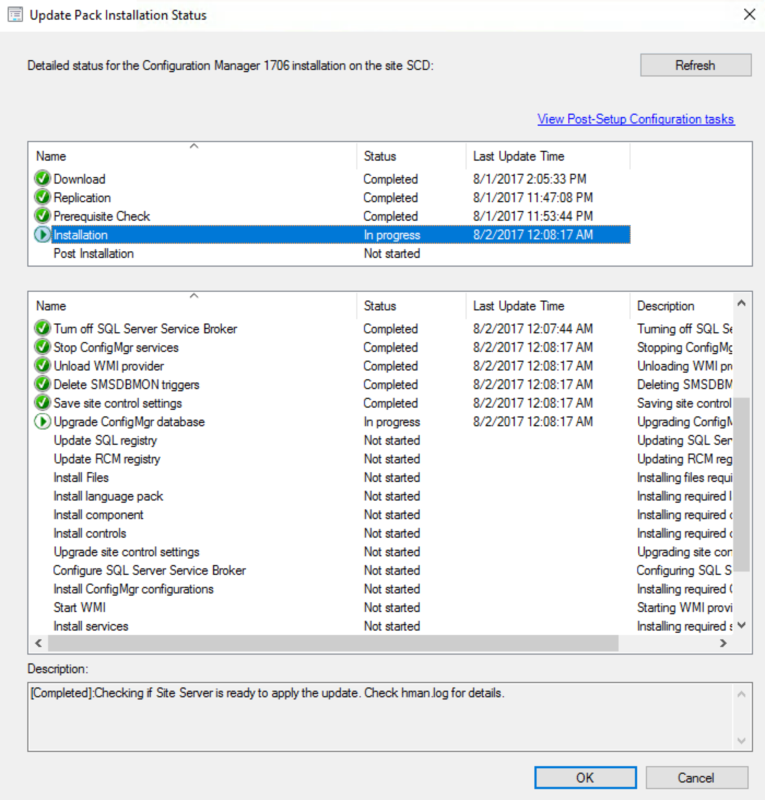 We are still deploying 1511 in our task sequence, but it seems like after the update to SCCM 1706 the deployments fail.. The update 1706 is successfull and everything looks fine except for boot image. it is still not updated. Any clue or suggestion why and how can i update this boot image. We have a post about updating the Boot images/Windows ADK. I’ve updates to 1706 in my lab. There are a few things that the don’t work appropriate way. 1) Log compmon.log said that “Can not get the current execution state for component CONFIGURATION_MANAGER_UPDATE since it is not installed or completed installing.”. That is not true.The update process is finished. The console said all task were completed. Looking in the cmupdate.box folder it is empty. 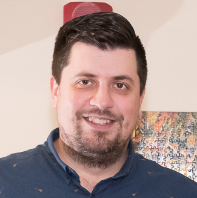 Any news on which version(s) of the Windows 10 ADK are supported on SCCM 1706? Docs haven’t been updated by Microsoft. But as of now, 1703 is the latest and should be the supported version. MS Updated the doc you linked to. No backwards compatible for ADK 1607. The only Win10 ADK version that SCCM 1706 supports is 1703. Personally we are still on ADK 1607 With SCCM 1706. At first I had upgraded to ADK 1703 but for some reason SCCM was still on Version 1607. When I was going to Update Distribution Point, The Currenct ADK Version shown was 1607, but I did update with the New ADK the boot image was Upgraded to 1703 but I couldn’t edit the boot image anymore. If somebody has any Idea on the one ? But yeah still is backward compatible. 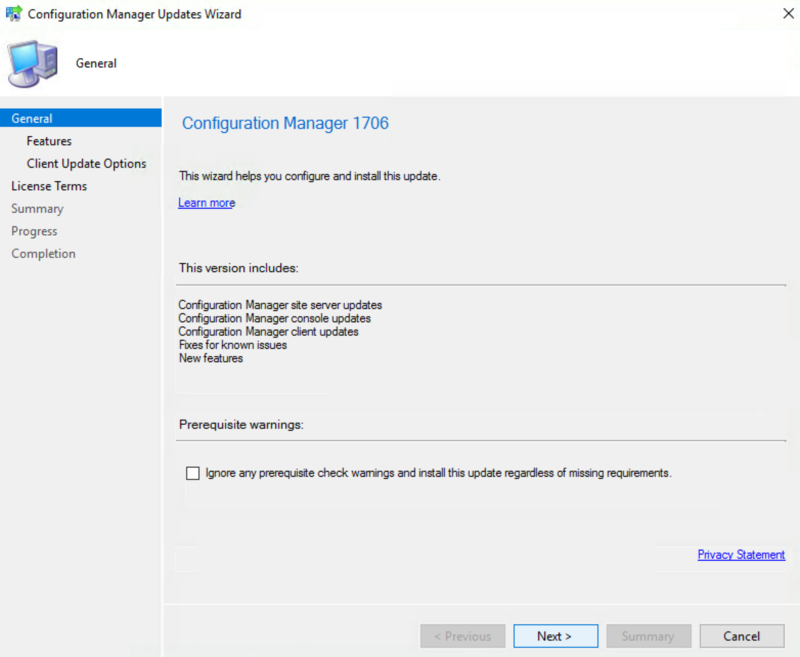 Each site server in the hierarchy must run the same version of System Center Configuration Manager before you can start the installation of update 1706. To update to 1706, you must use version 1606, 1610, or 1702.
have you ran the Powershell script for the early update ring? 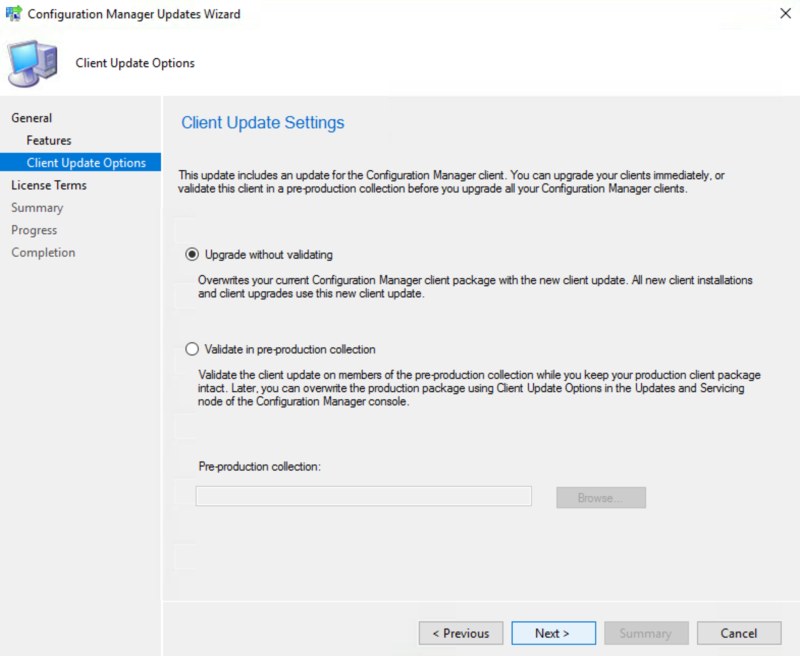 SCCM 1702 CLIENT PACKAGE DISTRIBUTION section should be. I’m still having issues seeing the update. I’ve ran the fast ring PowerShell script I don’t see any errors flagged in dmpdownloader.log when looking at it. Would having Windows Updates disabled in group policy affect this? I had issue also, but forcing the Check for Update a couple time and wait did the trick.